You know they’re out there. Successful online sellers who somehow discovered how to get it right. 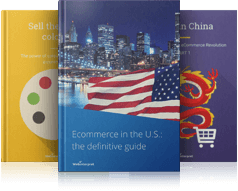 Sellers that found a smart way of meeting their business challenges and skyrocketed their ecommerce sales on international markets. We’ve been working with thousands of such retailers and many have been happy to share their path to ecommerce glory with us. In this section we will give you real-life case studies. They present challenges that boil down to one root question: how to grow my sales in the easiest and quickest way? Our case studies will give you a company overview, describe challenges, solutions and end results. Numerical data and charts will give you an idea of the effectiveness of particular business solutions. Learn more now!